Being a single momma my time is stretched thin. 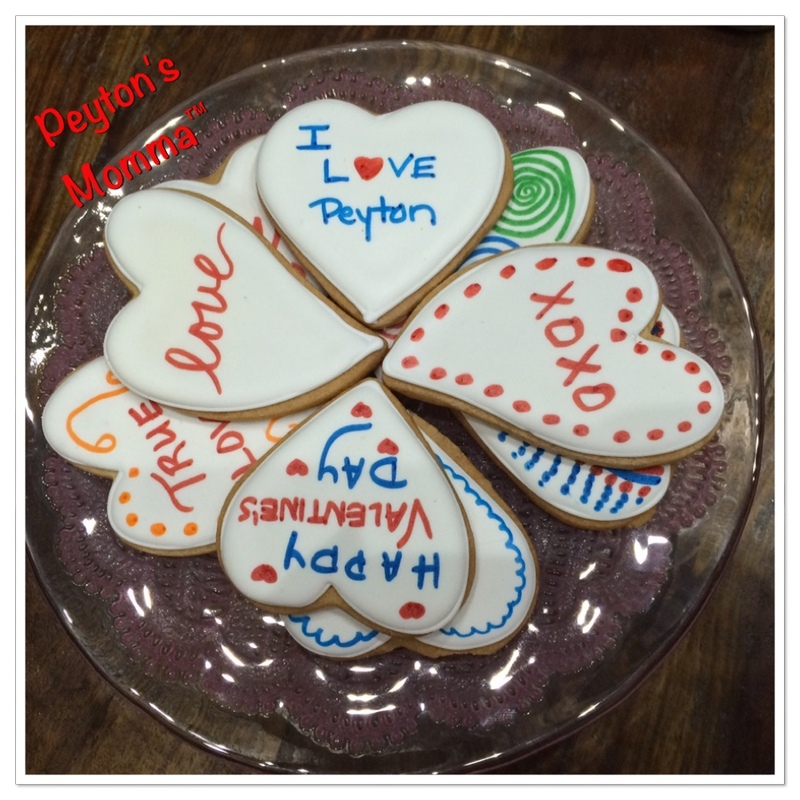 I would love to have time to make cookies from scratch and decorate them with Peyton. But in the big picture there just is not enough time in the day. Eleni’s New York will bake the cookies for you plus ice them and ship them to your home! Then when they arrive all that’s left to do is decorate them. Eleni’s even has a few food grade markers included in your package to help bring out your creativity. The cookie kit arrives, securely packaged, shrink wrapped for freshness. I believe there were 4 different layers of shrink wrap to help keep the cookies fresh during transport. Inside the tin there were 2 layers of cookies packed with care and 5 food safe markers. I liked how there were 2 different size heart shaped cookies. That made decorating them a little more interesting because even if I used the same idea it looked completely different on the other cookie. There is virtually no mess with these cookies. Peyton decorated a few and yes she did get a little bit of the marker on her finger tips but it was no more so than when she colors with markers on paper. I thought coloring the cookies was extremely easy. 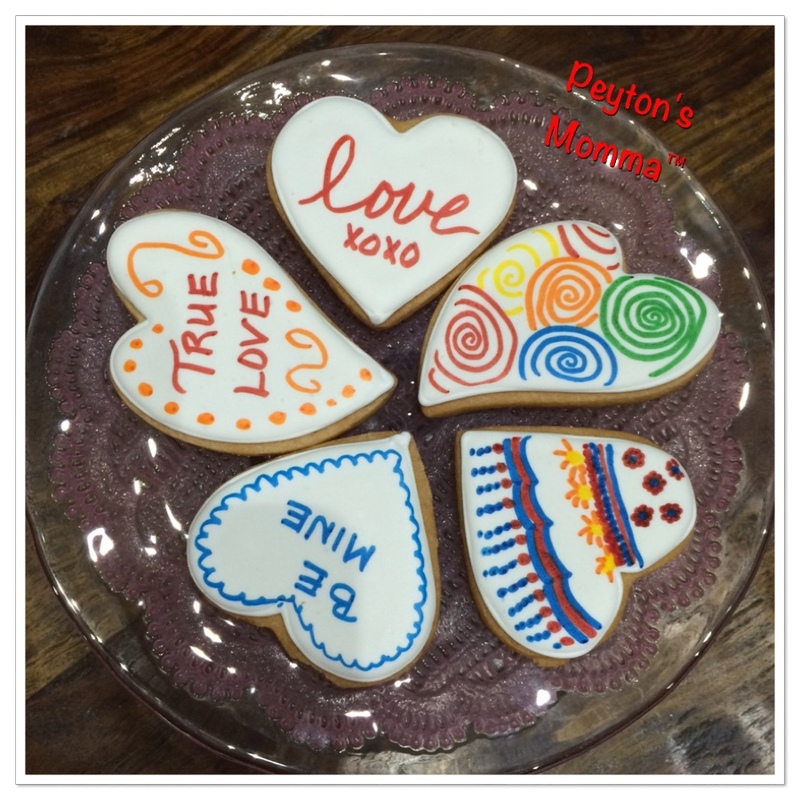 The markers glide right over the frosting, there is no bleeding and what you write or draw stays. My only suggestion would be to have pastel colors. We had bold primary colors but I would’ve loved to have had a pale blue, electric blue, purple, bold pink, light pink or even neon colors to choose from. If you really want to knock your cookie decorating skills out of the park I suggest getting a little tub of white icing and some colored balls. There were a few times I wished we had some pearlized balls to add to some of the drawings. 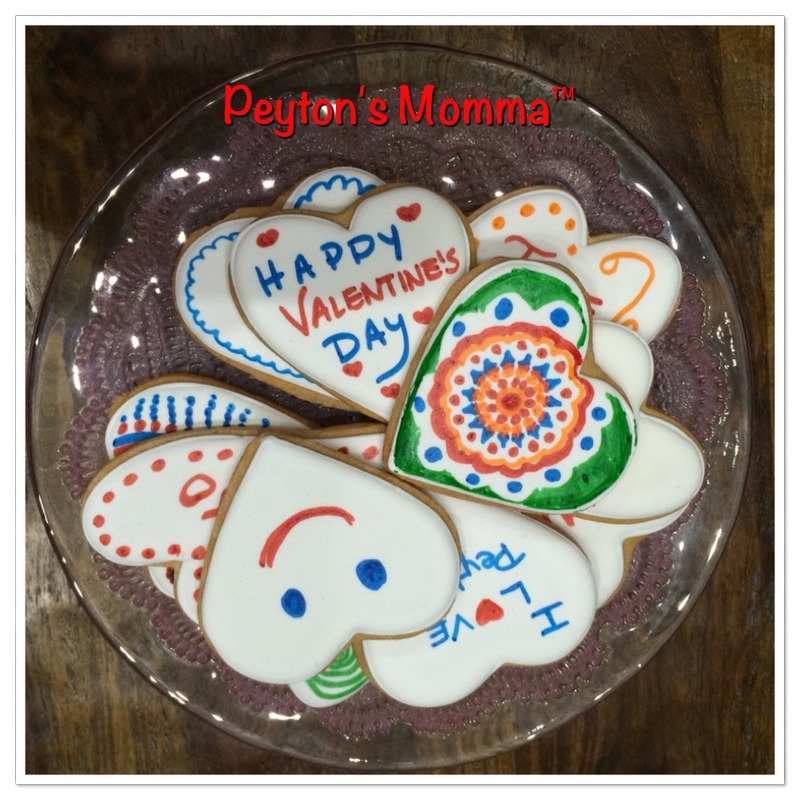 Maybe heart shaped cookies are not your thing. No worries. They have plenty of designs to choose from. I saw some Shamrock shaped cookies for St. Patrick’s Day. Or even zoo animals. How fun would it be to order a few boxes and just let the kids go wild? This would make for an impressive table activity at a birthday party. There are just so many uses for the cookies. Like you could even use them to propose to the one you love this Valentine’s Day! 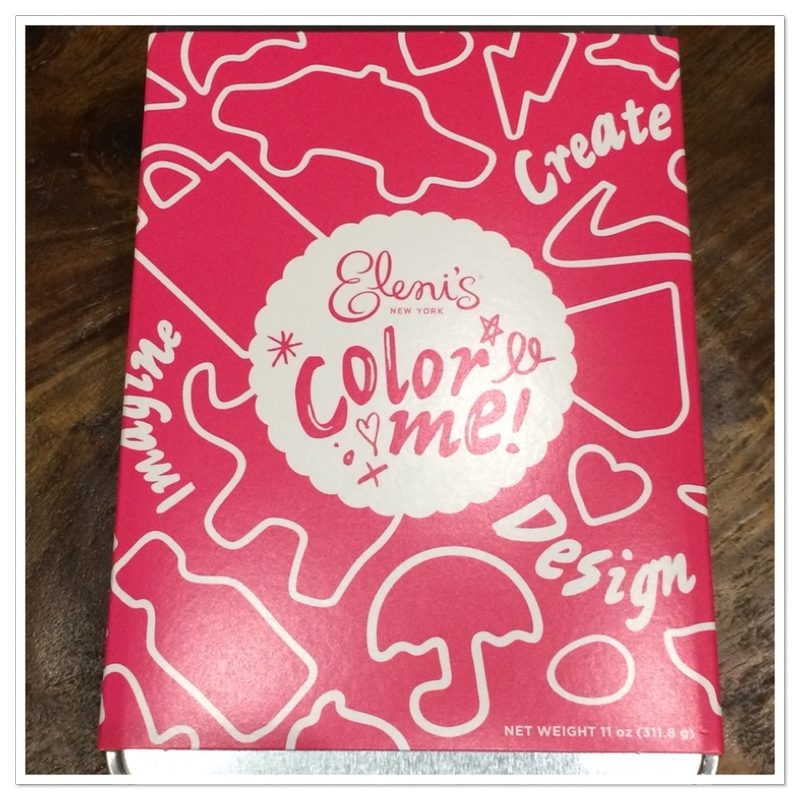 If you like what you see and can’t wait to get your own box of Eleni’s New York Color Me! cookies hurry over and order them up now. Be sure to check out all the wonderful baked items that can be shipped to your doorstep. Or you can check here to see if there’s a store locally that carries them. Connect with Eleni’s on Facebook, Twitter, Pinterest, Instagram or Google+ to find out the latest scoop.